The Increasing Power of the Silicon Chip While most consumers never see a silicon chip, they do see the results of their growing power: high-definition television sets, cell phones with cameras, faster and smarter computers. Ever-shrinking chips are not only giving consumers new products, but also helping the scientific community. 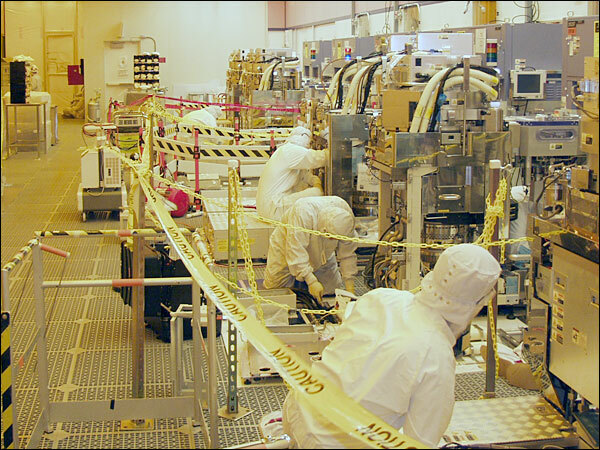 Engineers at Intel's "Fab," or chip fabrication plant, work to create computer chips. 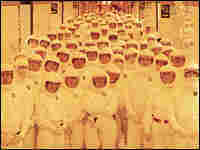 Intel Fab workers wear Gore-Tex "bunnysuits" for work in the clean room, a sterile environment for chip production. While most consumers never see a silicon chip, they do see the results of its growing power: high-definition TV sets, cell phones with cameras, faster and smarter computers. Ever-shrinking microchips are not only giving consumers new products, but also helping the scientific community. Last year, chips were a $230 billion industry. Analysts predict it will grow another 6 percent this year. 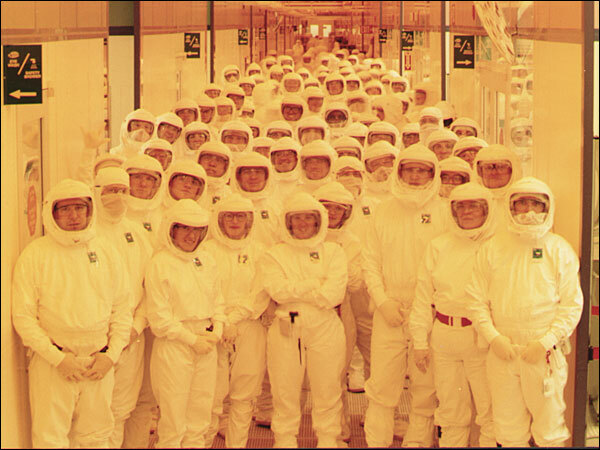 The largest chip manufacturer in the world is Intel Corporation. At its chip fabrication plant in Portland, Ore., the company keeps making its chips more powerful and smaller -- in bigger and bigger facilities. The co-founder of Intel, Gordon Moore, observed in 1965 that the number of transistors on a silicon chip was likely to double every 18 months. He's been right so far. Eventually chip manufacturers will reach a point where they can't fit more transistors on a silicon chip. Very few in the computer industry think that will happen in the next five to 10 years. Still, scientists are further investigating nano-technology and alternatives to silicon such as carbon. The push to keep getting smaller could enable technology that most people never anticipated. One possibility in the works: virtual autopsies. Silicon Graphics (SGI), based in Mountain View, Calif., is developing a scanner enabling doctors to get a complete three-dimensional picture of the body without cutting the skin. SGI's Afshad Mistri says doctors like this technology because it's non-invasive. Families prefer it over having departed loved ones sliced open. In criminal cases, it can be effective in helping juries to understand the extent of injuries. Mistri says dentists may also apply the technology to living humans in the near future. But since the scanner generates radiation, caution is necessary. Pamela McCowan, a meteorologist with Education Research Services in Asheville, N.C., and a client of SGI, says more powerful computers create more accurate forecasts. She concedes computing power doesn't solve all problems. Meteorologists were able to predict the path and intensity of Hurricane Katrina with remarkable accuracy. That didn't spare those who were unable or unwilling to leave. Advances drive prices down and enable more innovation, offering consumers yet more technology, some of which they quickly embrace. One stunning example: cell phones with cameras. Many in the chip industry consider it relatively easy to predict technological advances. It's much harder to foresee how inventors and designers will use that technology to create breakthrough products for commercial and scientific use. And it's harder still to know which products will excite consumers.